The popular beach resort city of Alanya has always played an important role due to its strategic location. Roman, Byzantine, Ottoman and other Empires all had their strongholds here. This beautiful part of Turkey is home to fascinating caves, beautiful gardens, a number of historical sites and everything in between. The best part for travellers is the fact that the best hotels in Alanya are as abundant as they are reasonably priced. Visitors have their choice of apartments in Alanya, 5 star hotels, and budget hostels or cheap hotels in Alanya for those on a tight budget. Leave the four walls of your hotel in Alanya, Turkey behind and enjoy some of the wondrous natural sights. The Dimcay waterfalls are one of the most popular natural attractions in the area and if this is the sort of activity that you enjoy, make sure that you visit the Sapadere Canyon too. The views and tranquil surroundings are a real treat and a wonderful way to relax and rid your body and mind of the usual daily stress. Being a beach resort city, you simply have to visit at least one of the beaches in the area during your stay in Alanya. Cleopatra Beach is one of the most popular in the area and, with such clean white sand and water, it’s easy to understand why! Take the whole family out for a day at the beach and take a day off from the city life. Alanya Gardens is a wonderful place to take the whole family and relax. It’s not all that big but there are lovely water features and it’s filled with animal life. The Damlatas Caves are really remarkable and should be on every traveller’s list of things to do. It is rather compact and easy to access which makes it that much more appealing to the general public. 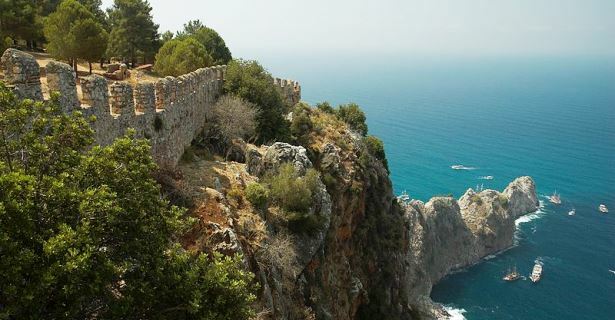 Alanya Kalesi (Castle) is one of the area’s most popular historical locations. The road up to the castle is winding and dusty so many visitors recommend travelling by bus or car instead. The views from the top are truly amazing and well worth the trip. Some of the best photo opportunities are at sunset. Kizilkale is a fascinating military museum and a great place to take the whole family. There are a number of great lookout points and stunning views from here too. Other interesting places to visit include the House of Ataturk and the Alanya Arkeoloji Muzesi. Even if you aren’t a massive history enthusiast, such sites are always interesting; especially for the enquiring minds of children. For those trying to decide where to stay in Alanya, take a look around online to find the best hotels in Alanya, Turkey first. Online promotions, discounts and deals make it easy to find the perfect accommodation in Alanya from the comfort of your own home.